If you have filed a revised tax return post demonetisation, Income-Tax (I-T) Department is likely to put you under a microscope soon. The Central Board of Direct Taxes (CBDT) has advised the taxman to take strict action against assessees who have misused the facility of filing revised returns to turn black money into white merely by declaring it as income. As you may be aware, many hoarders of cash blindly deposited demonetised currency in their bank accounts hoping to get away with it. To make their position slightly more concrete, they filed revised tax return for the Financial Year (FY) 2016-17. CBDT has advised Assessing Officers (AOs) to scrutinise all such cases and charge heavy penalties if they discover any attempt of turning black money into accounted income. Formal instruction of CBDT read as follows: “Unaccounted income so assessed in scrutiny assessment is liable to be taxed at a higher rate without any set off losses, expenses etc. under section 115BBE (treatment of tax credits) of the I-T Act." Professionals and business persons who have reported higher income by way of higher sales in the revised return filed (post demonetisation) will be grilled to find out the source of income. A CBDT directive in this regard says, "The source of cash in hands of the person who had made payments to the assessee has to be verified carefully and the past profile of the assessee concerned should be thoroughly analysed." Commenting more about these developments a senior tax official said, "The assessing officers will comply with these new directions or guidelines in conducting over 20,000 cases of scrutiny, already selected by the department based on their financial activity post note ban." Once you submit and verify your income tax returns, an AO will authenticate the data you have entered and will send you Intimation under Section 143(1) of the Income Tax Act. Here, you will need to match the data you’ve submitted and computed under Section 143(1) by the assessing officer. If there is a mistake, it will need to be corrected by submitting a rectification request. You can submit a rectification request after the income tax return is processed or on receiving an Intimation u/s 143(1). You can rectify apparent mistakes from the record. Under this section, one can rectify clerical, arithmetical mistakes, a mismatch in tax payments, inclusion of income chargeable under an incorrect heading, and even changes in your residential status. Further, there must be confirmation that the mistake is apparent and that it is not a mistake that requires debate, elaboration, investigation, etc. You can file a rectification request within four years from the date of the order that needs to be rectified, not necessary the original order. Thus, even after you file a rectification request and there continues to be an error in the revised order, you can file another rectification within four years from the date of the revised order. If you unintentionally failed to include certain income or forgot to claim additional income exemptions, then file a revised return. There is a possibility where one could have forgotten to include interest income or even misplaced a donation receipt to claim exemption under Section 80G. A revised return can be filed even before receiving an Intimation u/s 143(1). You can file a revised return under Section 139(5) of the Income Tax Act. A revised return can be filed only to rectify the error of omission or a wrong statement. Earlier, it was not permitted to file a revised return for returns filed after the due date. However, since April 1, 2017, you can file a revised return even for belated returns. This is applicable for Assessment Year 2017-18 and onwards. You can file a revised return before the end of the next assessment year. For example, for FY 2017-18, you can file a revised return upto March 31, 2019. Please note, the deadline for filing revised returns has been reduced. From next year, i.e. AY2018-19, the deadline for filing revised returns is March 31, 2019. Avoid the deadline rush and file your taxes early. Filing your returns closer to the due date may lead to a delay in processing. When e-filing your returns, the servers may slow down due to the numerous requests closer to the tax return deadline. Avoid the rush and possible delay by filing your tax returns early. If you have a tax refund, your return may get processed faster if you file your claim in advance. Refund processing usually takes more time than processing forms with a tax due. If you file your tax returns later, there may be a delay. Plus, don’t ignore the opportunity cost. If your tax refund is a sizable amount, you can put it to productive use early and reap earnings. The longer you delay, means missing out on higher interest that could be earned on the amount. Plus, if your refund amount is greater than 10% of the tax payable, you are paid an interest @ 6% p.a., calculated from the date of filing the return. You lose this benefit if you file the returns after due date. Though the tax filing process has been simplified, don’t underestimate the time required to file your returns. Once you start the process, you may realise that additional documentation is required. Documents such as interest certificates, loan repayment statements, TDS certificates, Form 26AS, etc., need to be in order. 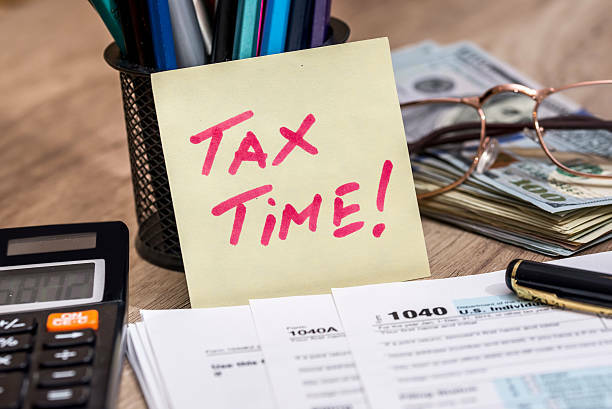 By starting your income tax preparation early, you will have enough time to request for these documents from the bank or from the appropriate sources. If you file your returns early, you will get enough time to root out errors. In a haste to meet the deadline, you may forget to include certain sources of income or miss claiming a deduction. You can file a revised return before the end of the next assessment year, which is March 31, 2019 for AY2017-18. Please note, the deadline for filing revised returns has been reduced. From next year, i.e. AY2018-19, the deadline for filing revised returns is March 31, 2019. Start early to avoid unnecessary errors and delays in processing. A Belated Return (tax returns filed after the due date) attracts a penalty and interest. Under Section 234F of the Income Tax Act) there will be two set of penalties; first, a Rs 5,000 penalty for belated returns filed on or before December 31 for that assessment year; and second, Rs 10,000 for any other case. For small taxpayers whose total income does not exceed Rs 5 lakh, the penalty amount is reduced to Rs 1,000. Apart from this, under Section 234A, interest would be levied @1% per month, calculated from the due date. For salaried employees, e-filing of returns can be a breeze. If you are salaried, once you have your Form 16, you can file your returns without much hassle. Salaried individuals with income up to Rs 50 lakh and owning one house or property can use the one-page ITR Form-1 (Sahaj). This simplified form is convenient and easy to understand. Hence, starting early will give you time necessary to understand the tax filing process on your own and avoid the need to seek expensive professional services. But, if you have multiple sources of income or if you have any doubt when filing your returns, it would be wise to get help from a qualified tax return preparer or a chartered accountant. If you find preparing your taxes confusing and time consuming, seek the assistance of a certified tax return preparer (TRP). You can locate a TRP in your area here. Don’t delay and avail of the services of a TRP early on. Close to the due date, chartered accountants and TRPs are usually flooded with work, and they may not give sufficient time to resolve any query. By submitting your documents earlier, will give them enough time to examine your documents and eradicate errors and/ or be able to save you more tax. You may also save on fees and can negotiate a better rate if you avail of their services early on. The moment they get flooded with clients, they may not even entertain you. Your income tax return acts is proof of the income you earn. It becomes a mandatory document for processing of loans, visas, and credit cards. With interest rates falling, home loans are now becoming viable. Therefore, if you are applying for a home loan, it is pertinent to have all your income proofs ready. In addition, paying your tax on time adds to your credentials as a trustworthy and law-abiding citizen. We all learn from our mistakes. You may have missed availing of certain deductions last year. When you file returns early, you may get inputs on how to save tax in the current financial year. Every year the tax rules changes; thus, filing returns early, may give you ideas on how to save on tax for the current financial year. You will be able to better optimise tax deductions available. In addition, you can inform your employer if you wish to alter and optimise your salary structure to save more tax. Filing your taxes itself can be stressful. You can avoid the additional stress of missing the due date or being charged a late fee and penal interest. Stress has been known to adversely affect our health. By submitting your tax returns before the deadline, you will have peace of mind with a host of benefits. For saving taxes, you should stick only to legally permitted means. As you might be aware, if you invest Rs 1.5 lakh in specified investment instruments, you don’t have to pay any tax on such amount. Section 80C of the Income Tax Act provides you this deduction. Your investments in Equity Linked Savings Schemes (ELSS) qualify for that. If you aren’t sure about which ELSS to invest in, subscribe to PersonalFN’s premium report—3 Tax-Saving Mutual Funds for 2017". The report is currently available at a discounted price only for a limited period. So, hurry and subscribe now! Also while tax planning , think beyond Section 80C ; because there are many more deductions and exemptions that the Income Tax Act provides. Download PersonalFN’s latest Comprehensive Guide to Tax Planning. This Guide will reveal how you can save your hard earned money from the taxman, and reduce your tax burden quickly and smartly.